Use this website to find over 120 Beach Cams in Florida, California and Hawaii. You will find webcams with live, streaming video from these top resort areas. 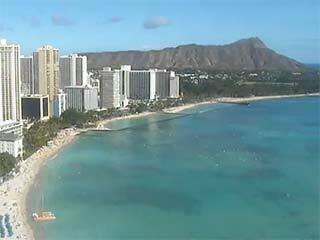 In Hawaii we bring you web cams from such happening areas as Waikiki, Kaanapali, Kona, and Lahaina. 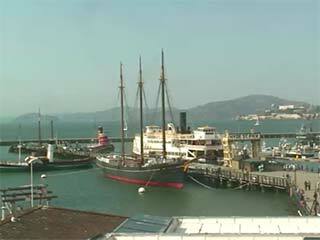 California webcam locations include Los Angeles, San Francisco, San Diego and the Central Coast. Also from Florida at Miami, Fort Lauderdale, West Palm Beach and Key Largo. Along with the web cams, there are comprehensive travel information to give you the scoop on the area's main attractions and top sights, including hard-to-find local links. The world's best beaches are just a click away. 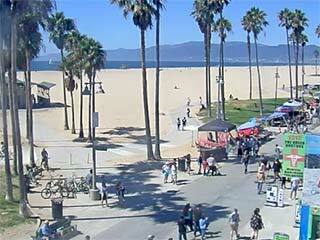 Live streaming webcam from Venice Beach. Over 100,000 people walk along the beach among the artists and street performers on Venice Beach every weekend. 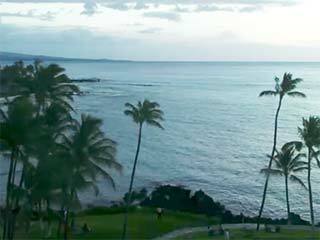 This cam is streaming live from the Kaanapali Beach Club Resort. The St. Regis Princeville Resort. It is Java based tilt, pan and zoom webcam near Puupoa Beach. World famous Santa Monica Pier is where the Historic Route 66 ends at the Pacific Ocean. Hawaii is a tropic travel destination within the United States and is one of the top choices for vacations. For US travelers, you can get to paradise without needing a passport and you pay in US dollars. Foreign travelers also appreciate the Hawaii Islands, especially those from Asia. MyBeachCams.com lets you see any the paradise from anywhere in the world at anytime the sun is shining on the islands. Explore the beautiful beaches and tropical flora that make Hawaii extraordinary place to visit from the comfort of your own computer. Maui is a popular Hawaiian island with many resort areas on the sunny west side of the island and lush tropical areas on the east side. Oahu is the most popular of the Hawaiian Island with the world famous Waikiki Beach with over five webcams just in that one location. What most visitors say about the Big Island of Hawaii is that it is "big." There is even an active volcano on the island you can visit. Known as the "garden island," Kauai is truly a tropical paradise with no building structure higher than a coconut tree. California is a mostly sunny state with hundreds of miles of gorgeous beaches. Known affectionately as the "Left Coast" for its liberal leaning ways, it is known for anything loose in the US has a way of moving to California. 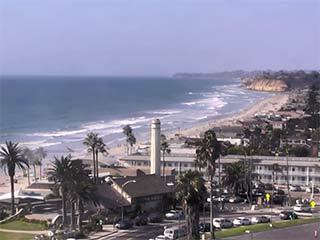 You don't need to live in California to enjoy the beaches with the over 70 webcams on MyBeachCams.com. A popular resort area, San Diego is a Mexico boarder town well known for its beaches, the San Diego Zoo and Sea World. 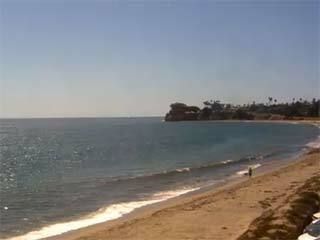 There are over 30 webcams along the Los Angeles area beaches. Popular beaches include Venice Beach, Malibu Beach and Laguna Beach. The Central Coast is one of the best-kept secrets of California with the many charming costal town dotting the coastline. A less sunny California hot spot is San Francisco know for the Golden Gate Bridge and the cable cars on the hilly city.